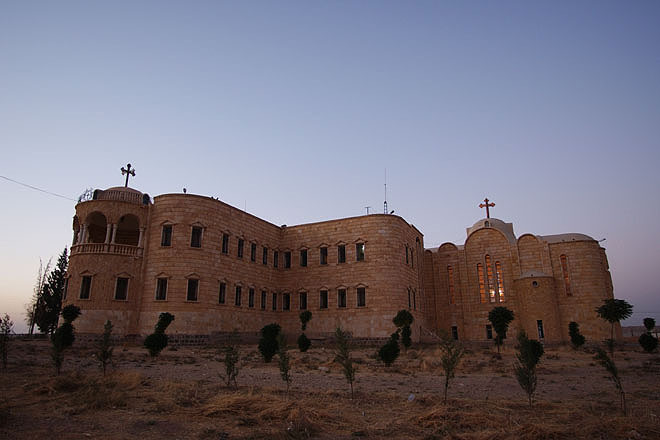 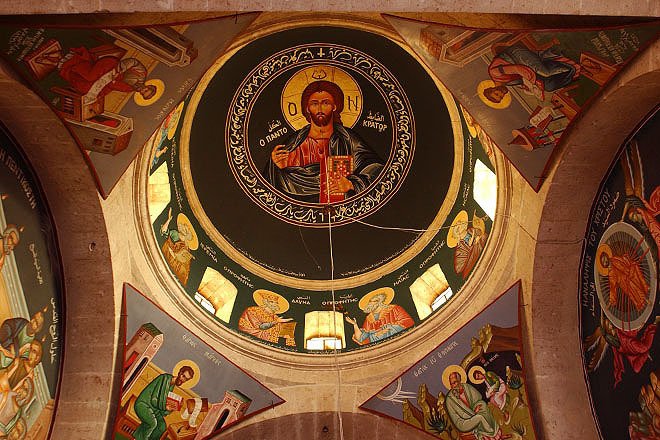 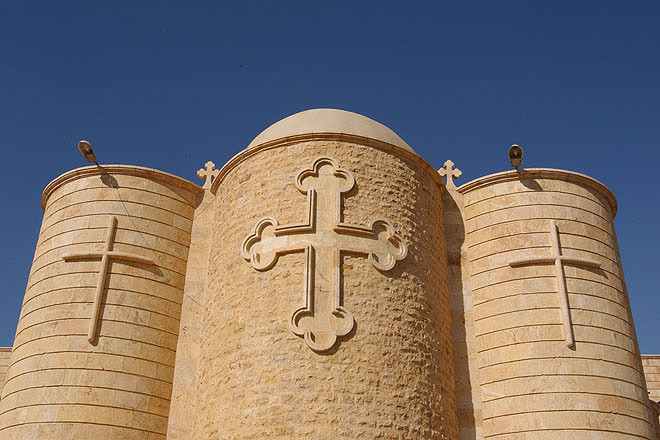 The Syrian Orthodox monastery of St. Mary near Hassake in eastern Syria. 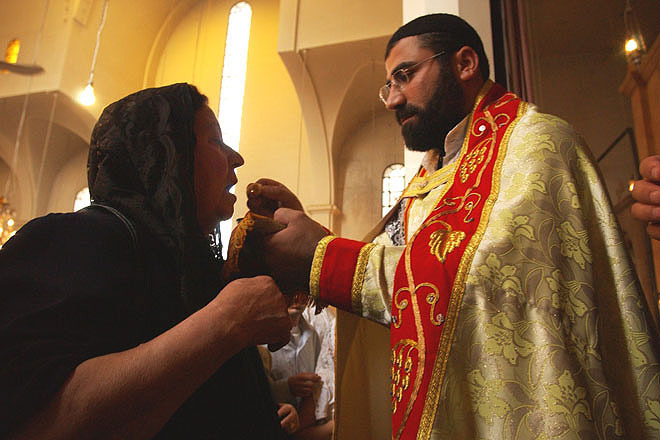 Former Syrian Orthodox Archbishop of Jerusalem Dionysion (right) with a young Aramaic woman at the monastery of St. Mary near Hassake in eastern Syria. 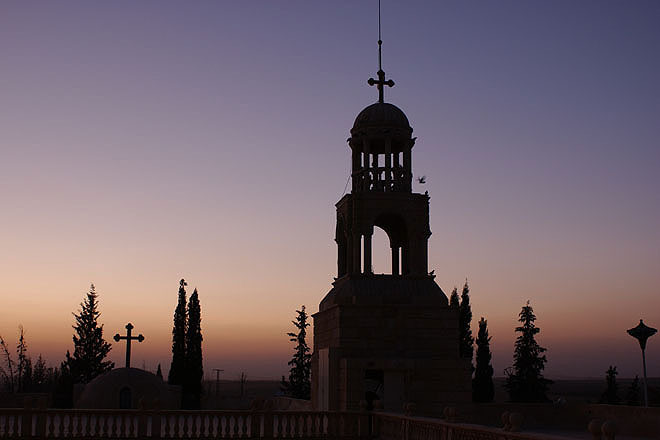 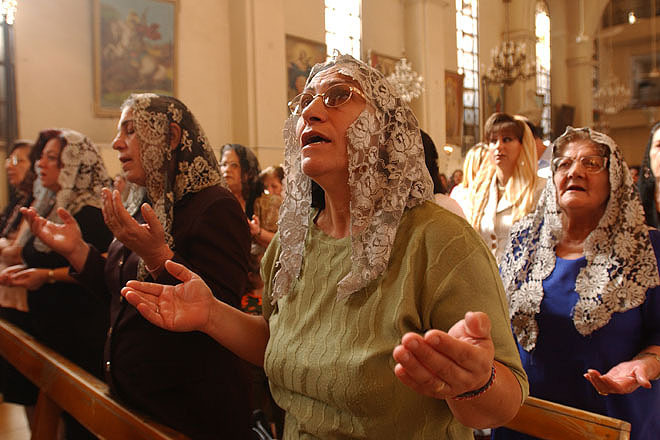 Sunday liturgy in the Syrian Orthodox cathedral in Hassake in eastern Syria. 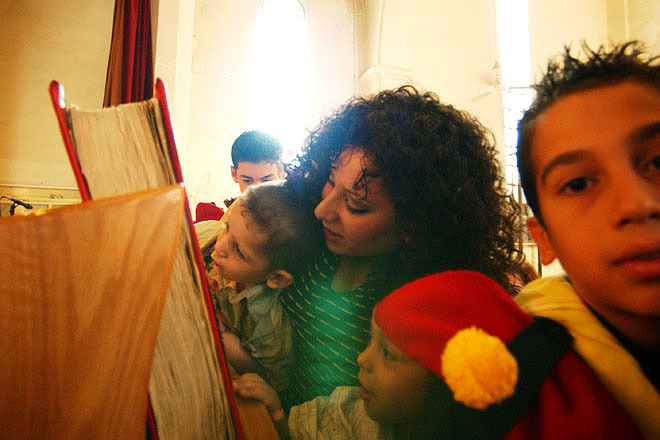 Believers kiss the Bible at the end of the Sunday liturgy in the Syrian Orthodox cathedral in Hassake in eastern Syria. 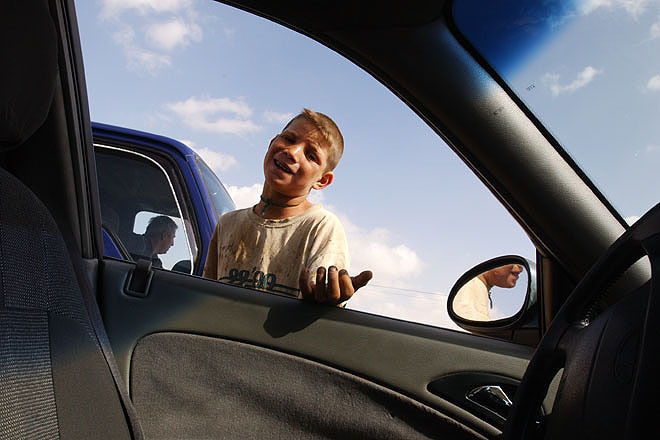 Young boy begging at a gaz station in Tell Tamir in eastern Syria. 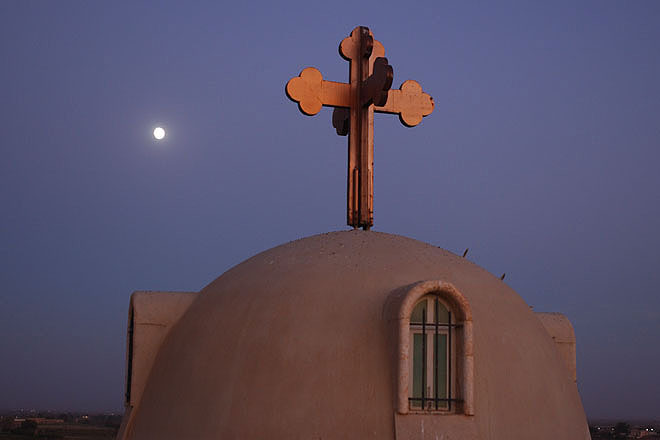 Convent of St. Thecla in Maalula 30km north of Damascus. 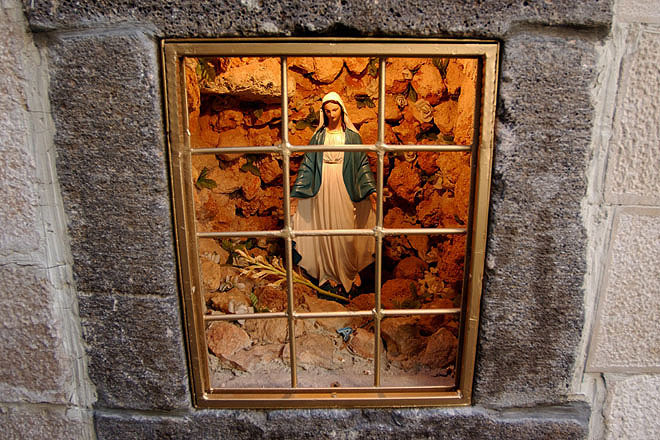 Madonna in the Old City in Damascus. 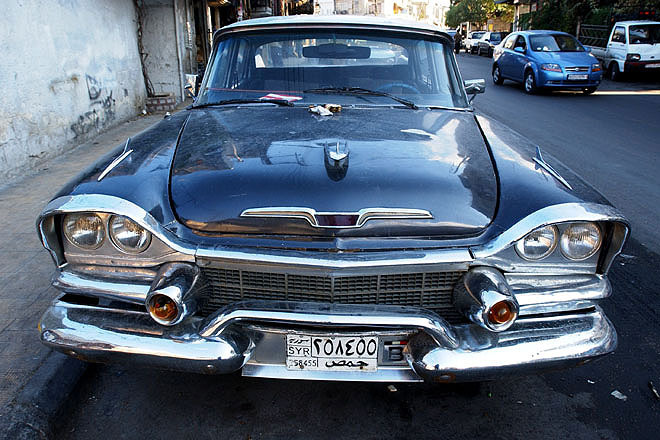 Old American car in Damascus. 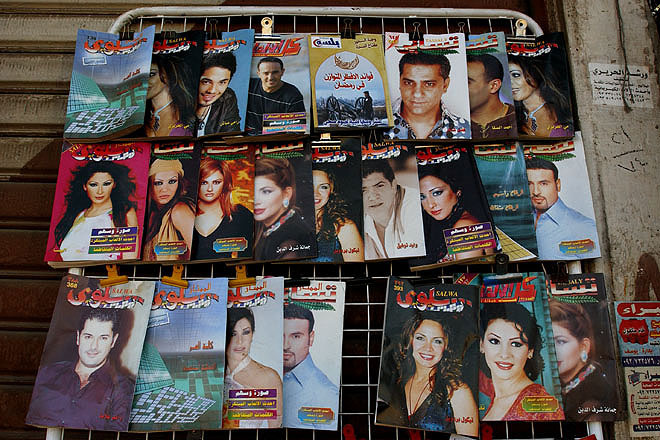 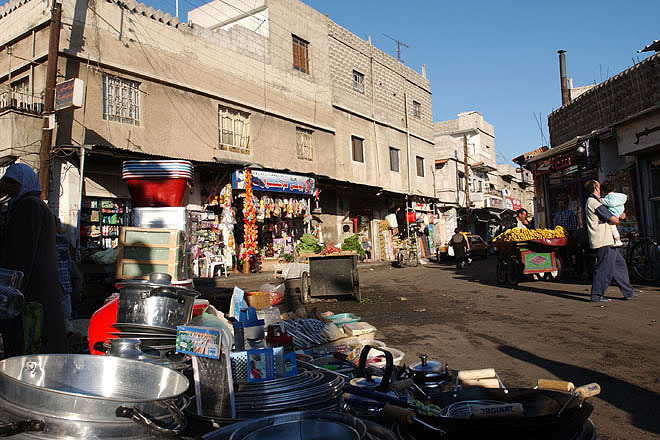 Popular magazines on sale in Damascus. 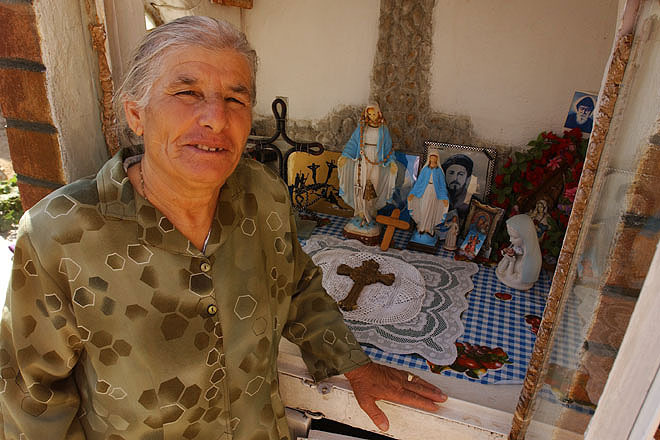 Aramaic woman in front of her house altar near the town Tell Wardiat in eastern Syria. 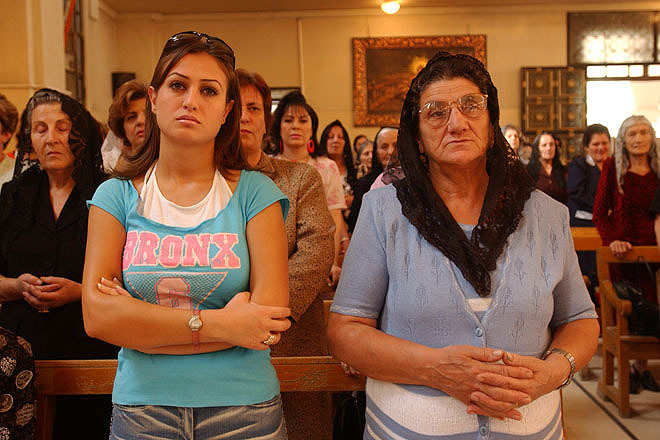 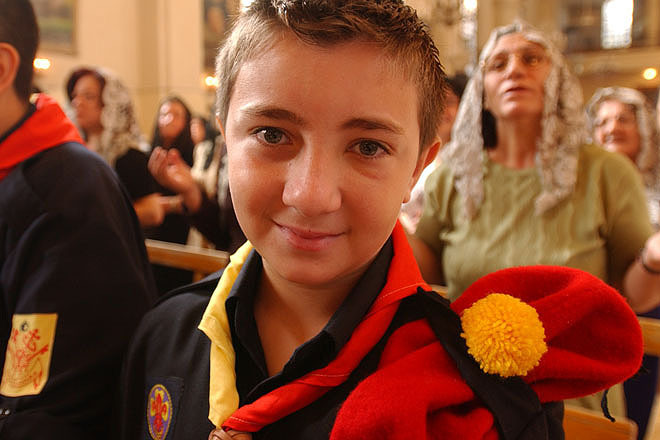 Baptism in the Syrian Orthodox cathedral in Hassake in eastern Syria.